A.Walecka & Son, Inc. currently maintains two modern, secure warehouses to provide a multitude of storage needs. If your family's belongings have to be stored for a month or a year, our clean efficient warehouse is an excellent option for your belongings. While in our storage facility, your goods are protected by state of the art motion, fire prevention and video detection systems. Additionally all items are bar coded and inventoried when received for storage. Whether you have a few items or a home full of furniture, we are ready to service your family's storage needs. For your business needs we also have a commercial storage/ distribution warehouse. 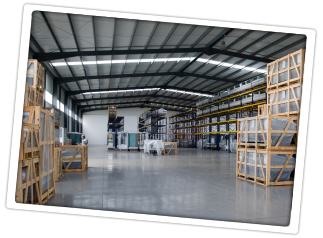 This facility includes some of the industry's best equipment and methods of storage management available. All you commercial storage needs can be met in one of New England's few climate and humidity controlled storage buildings. The adjustable steel racking system can be adjusted for any palletized product or artwork of high value. All items received for storage are entered into the computerized inventory control software system. This barcode system enables our staff to access any item you have with a moments notice and can be viewed via internet access for your records.